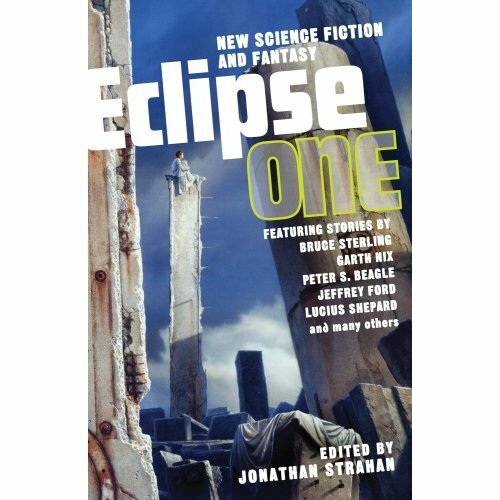 At present, I’m being greatly entertained by the stories in Eclipse One, which bills itself as an anthology of “new science fiction and fantasy.” In“Unique Chicken Goes in Reverse,” a precocious, eccentric Southern girl is brought together with a world-weary Catholic priest. In this story, Andy Duncan creates a scenario that is at the same time heartbreaking and hilarious. And it’s based on an incident that actually happened in the 1930’s and has been captured on film! I have more to read in Eclipse One, but I couldn’t wait to recommend “Reverse Chicken.” Among its other virtues, it features a really nifty surprise at the end, when the author reveals the true identity of the girl with the miraculous chicken. 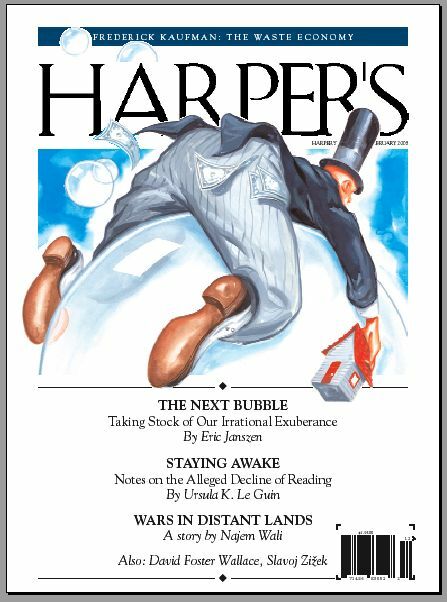 “Staying Awake” appears in the February issue of Harper’s. 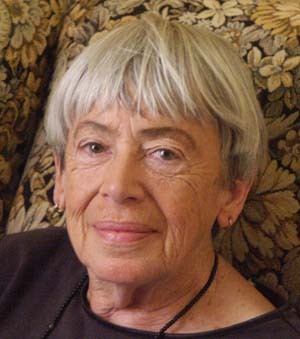 In it, LeGuin offers a salient history of reading and then launches into a screed condemning the takeover of numerous publishers by large corporations: “Moneymaking entities controlled by obscenely rich executives and their anonymous accountants have acquired most previously independent publishing houses with the notion of making quick profit by selling works of art and information.” It’s a thoroughly robust and enjoyable diatribe; by the time this eloquent writer has spent her fury, you want to stand up and cheer. (I did, anyway.) This is not just an exercise in throwing brickbats; LeGuin argues cogently that the usual capitalist business model is all wrong for the promotion, production, and dissemination of quality literature. This article is, alas, not available online in full text; the Harper’s site features only the first two paragraphs. Finding this issue on the newsstand is a longshot at this point. May I suggest your local public library, that splendid repository of back issues of periodicals, along, of course, with many other wonderful things (and people)! 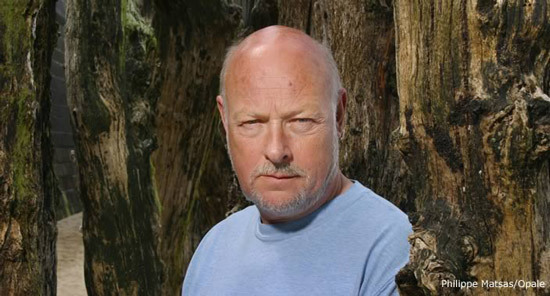 John Harvey is one of Great Britain’s most accomplished writers of crime fiction. His earlier series featured Nottingham’s jazz-loving cop Charlie Resnick and gained him many fans among those of us who are addicted to British police procedurals. 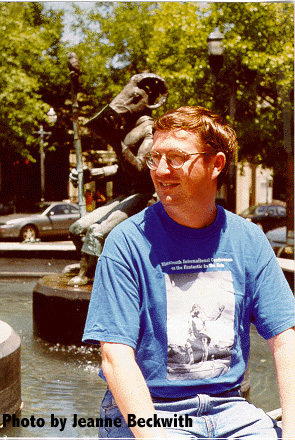 In 1998, Harvey closed that series out and began another one featuring the recently retired Frank Elder and set in Cornwall. Gone to Ground featured neither of the above two protagonist; instead, we’re introduced to Detective Will Grayson and DS Helen Walker, who are based in Cambridgeshire. As the novel opens, Will and Helen have been called to the scene of a murder. 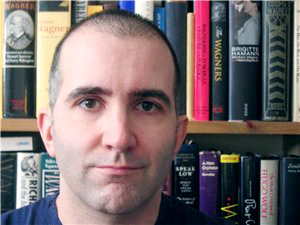 Stephen Bryan, a teacher of film studies at a local university (not the fabled Cambridge) has been brutally knifed in his own home. It’s the sort of crime where you’d expect to find plenty of forensic evidence, but the investigative team is disappointed in that regard. When it is revealed that Bryan was gay, the question arises: Was this a hate crime? I loved the way this investigation proceeded, with Will and Helen being diverted by numerous red herrings. Will is married with two young children. His wife Lorraine is chomping at the bit; she feels a desperate need to return to work in the outside world, a move that Will wants her to delay a bit longer.. Meanwhile, Helen is fighting to stay clear of Andrew, a former lover who keeps reappearing in her life. He’s bad news and she knows it, but at the same time she is irresistibly drawn to him. The suspense in this novel derives as much from the difficulties in the officers’ private lives as it does from the crimes they’re working to solve. But personal troubles do not overwhelm the narrative, and soap opera elements are kept to a minimum. 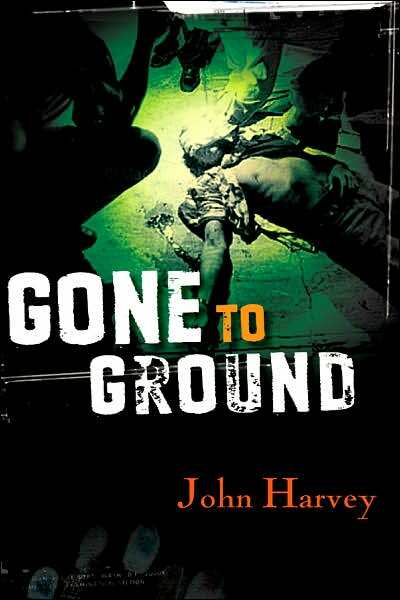 Gone to Ground features numerous intriguing, complex minor characters: Stephen’s embittered discarded lover Mark McKusick, construction industry titan Howard Prince and his slightly daffy, hyperactive actress daughter Natalie, and Stephen Bryan’s grief-stricken and grimly determined sister Lesley. 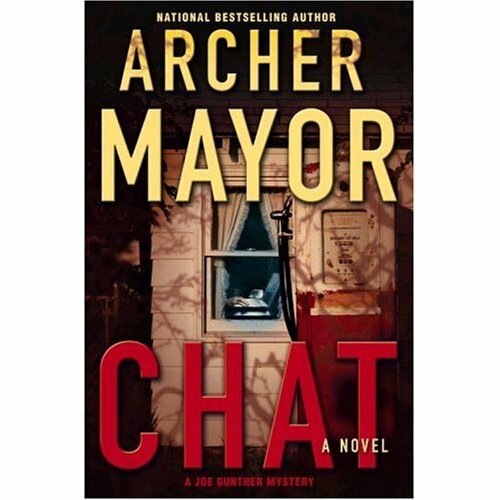 Harvey writes great dialog; it serves to bring all these characters to vivid life. There’s quite a bit of interesting film lore thrown in as well. My only reservation about the novel concerns the crime’s ultimate solution. I was somewhat bewildered by it, but maybe that was just me. Also, I don’t understand Harvey’s choice of title. I still recommend Gone to Ground: the plot was absorbing, the characters empathetic, and the writing first rate. These are all qualities I’ve come to expect from John Harvey. 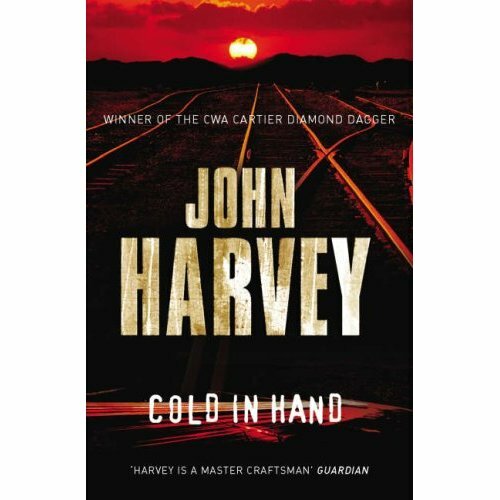 Oh – and here’s a late-breaking bulletin: Harvey’s website informs us that Cold in Hand, the first novel to “strongly feature Charlie Resnick in 10 years,” has recently been published in the UK. According to Amazon, it is due out here in April. You heard it here first, folks! I’ve been trying to avert my gaze from the horrible story of the massive beef recall until this article in today’s Washington Post shoved it in my face. I got on the Humane Society’s site but could only bear to watch the first few seconds of the video that brought about the recall. In recent years, the Humane Society has bombarded me with tchochkes and trinkets in an effort to solicit contributions. I know they do good, necessary work, but I find this particular fundraising strategy truly irksome. However, in recognition of what they’ve just achieved by sharing that video footage with an appalled public, I opened my heart – and my wallet – this morning and made a donation. Before I close, I just want to say that is what happens when you treat animals like things. You become a thing yourself – and worse. The verdict on the Fire Sale was decidedly mixed. On the plus side, we appreciated V.I. 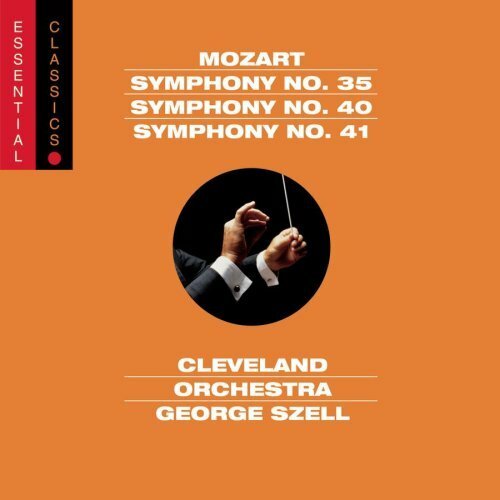 Warshawski’s zeal in the pursuit of various malefactors. We also liked her defense of society’s most defenseless – or, at least, poorly defended – individuals. But at the same time, we found her tendency to swing into crusading mode somewhat irritating. As you read the book, it does seem at times as though V.I. is the only right-thinking person in a sea of hypocrites and money-grubbing low lives! 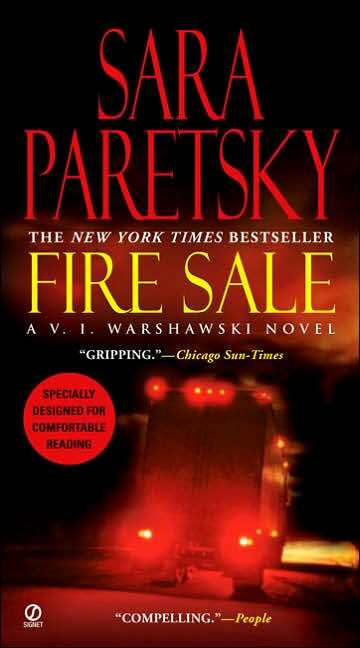 Interestingly, following a robust and somewhat negative exchange of views, when we were asked if we’d read another title by Paretsky, the response was largely affirmative. 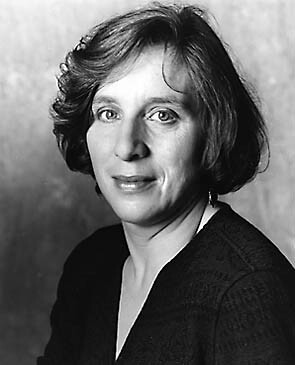 We acknowledged that she is a highly respected writer with a considerably body of work. 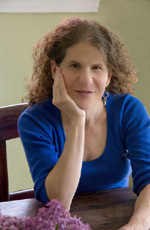 If her output is uneven, she’s got plenty of company in that regard Several in the group had read other titles by her, such as Burn Marks, Total Recall, and Tunnel Vision, and enjoyed them. And her latest, a standalone, entitled Bleeding Kansas, is getting rave reviews. I want to take a minute before I conclude to sing the praises of the Usual Suspects: What a great group they are! Their humanity and compassion, their love of books, their great sense of humor – all are deeply appreciated by me. It is a pleasure to spend time with them. 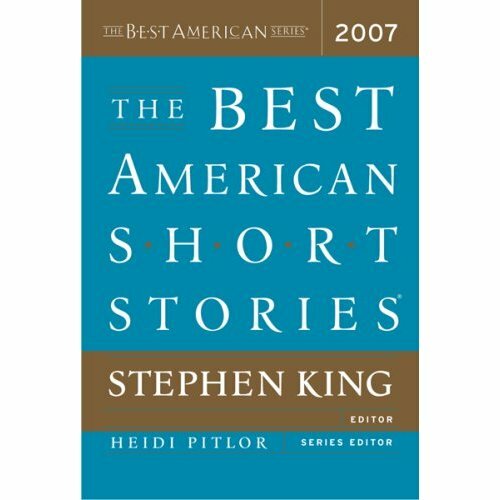 A couple of weeks ago, as I was experiencing mounting frustration with contemporary fiction ( with the very definite exception of crime fiction), I went back to Best American Short Stories 2007. I’d read only three or four of the stories; now I read twelve more. (There are twenty in all.) Whenever I approach an anthology such as this one, I like to see which selections especially pleased the reviewers; I read those first. And now, Dear Reader, I shall do the same for you! In “Balto” by T.C. Boyle, a twelve-year-old girl is asked by her father’s lawyer to lie in open court. Will she? You won’t know until the very end of the story. I laughed out loud at “Wake,” Beverly Jensen’s tale of a fractious but loving Canadian family getting ready to bury their paterfamilias. Fate seems determined to sabotage the proceedings; for starters; Dad’s body goes missing! I have said that Amy Bloom’s novel Away served to awaken the ghosts of my ancestors. Eileen Pollack’s story “The Bris,” veering crazily between rollicking and poignant, did the same. Marcus Lieberman’s father is on his deathbed when he makes a most startling confession to his son: not only was he not born a Jew, he has never formally converted to Judaism, either. And he was never circumcised. It is that omission that he wants to remedy before it’s too late. For his part, Marcus is stunned. Who would possibly agree to circumcise a dying man? Oy gevalt! What to do? There are three stories I admired but had a problem with. 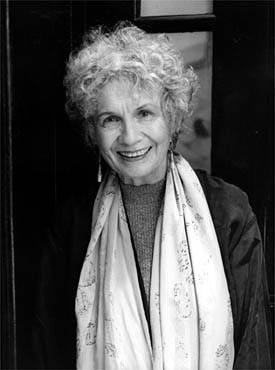 The first, Alice Munro’s “Dimension,” is the story of a horrific crime, narrated with the author’s characteristic understatement. She had me with her right up until the end, when an incident happens to the bereft mother that seemed too obvious, too much like a set-up, at least, in my eyes. I still recommend the story; for the most part, it bears all the hallmarks of this celebrated author’s mastery of the form. Stellar Kim’s “Findings & Impressions” a story told by a radiologist, was moving and beautifully written, but, I also found it pretty predictable, at least as far as the sad outcome is concerned. Finally, “Sans Farine” by Jim Shepard was in many ways an astonishing feat of imagination. In it, the author re-creates the life and times of a family whose members, over succeeding generations, held the post of executioner in France before, during, and after the Revolution. Shepard really had me during most of this extraordinary tale, but by the end, I felt he had piled on the gore a bit too relentlessly. Finally… drum roll…three stories that in this standout collection, IMHO really soared: “L. 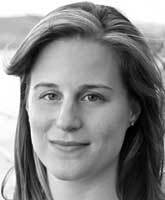 DeBard and Aliette: A Love Story” by Lauren Groff, “St. Lucy’s Home for Girls Raised by Wolves” by Karen Russell, and “My Brother Eli” by Joseph Epstein. Set in 1918, “L. DeBard and Aliette” is the story of a passionate affair between a championship swimmer and a polio victim. It may be the most erotically charged love story I’ve ever read – truly amazing in its intensity. In “St .Lucy’s Home for Girls Raised by Wolves,” Karen Russell takes a pack of feral – perhaps I should say, lupine – girls and throws them into a Catholic boarding school. They’re there to be civilized and un-wolved, as it were, and the results are predictably outrageous. I didn’t expect to laugh so much while I was reading this story, but I did, over and over again. 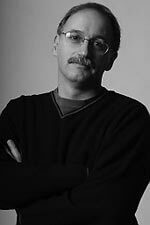 I looked Joseph Epstein up on the Gale database Literature Resource Center and was quite frankly stunned. 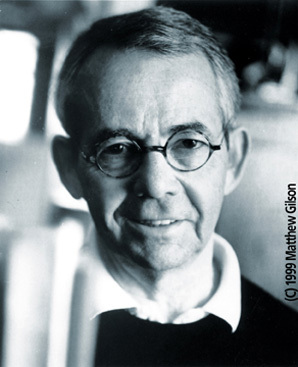 Born in 1937, Epstein has had a long distinguished career as a man of letters. I have heard of him, but only barely, and I’m pretty sure “My Brother Eli” is the first thing I’ve read by him. I intend to remedy that deficiency. One of the many praiseworthy aspects of these Best American anthologies is that they bring truly gifted writers to the attention of those that appreciate their gifts. One of the most rewarding features of this anthology is found in the back of the book and is called “Contributors’ Notes.” For each of the authors whose stories appear in this book, there is an entry giving some background information, followed by an explanation by the author as to what inspired him or her to write the story. Fascinating! 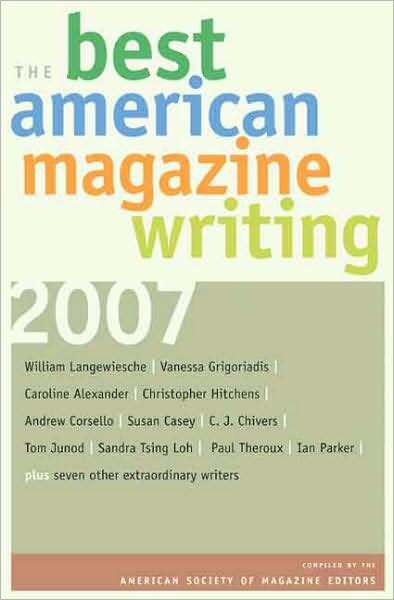 Best American Short Stories 2007 sees the debut of a new series editor, Heidi Pitlor. 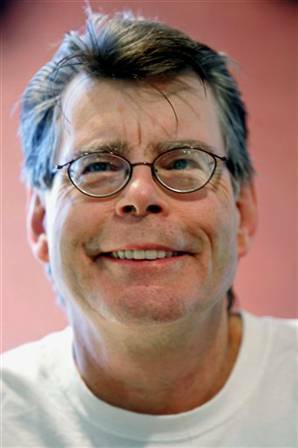 This year’s guest editor is Stephen King. He wrote a terrific introduction to this volume; it appeared in the New York Times Book Review this past September. (I particularly relish what he wrote about big box bookstores. I’m with ya there, Stephen; boy, am I ever!) I’d like to personally thank King for the passion and enthusiasm that he brought to this undoubtedly daunting task. There’s an interesting piece by Sara Rimer on the front page of today’s New York Times: “Gatsby‘s Green Light Beckons a New Generation of Strivers.” One is always gratified when young people draw inspiration from great literature; on the other hand, but are they getting the whole message? 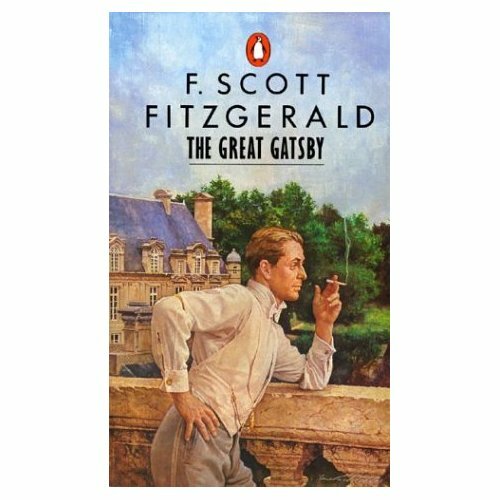 In the article, high school students aspiring to the Good Life American style bubble over with enthusiasm for the book; they want to emulate Jay Gatsby, the Midwestern parvenu “in this mansion, having these lavish parties and really and truly fulfilling the American dream.” But the parties are a hollow sham, and the one thing Gatsby himself desires above all else he can never have. The teachers sound a gentle admonition that The Great Gatsby is, in essence, a cautionary tale, but one wonders if that aspect of the story is making much of an impression. I am deeply grateful for the high quality long-running series that I know I can turn to with confidence. I love being able to pick up a book knowing that it will not disappoint me. Of course, no matter how reliable an author may normally be, some series entries will inevitably be less compelling than others. But I invariably enjoy revisiting characters who are like old friends in familiar surroundings. And so it was great to find myself once again hanging out with Joe Gunther, the ever-cranky and overly blunt Willy Kunkle, Beverly Hillstrom M.E., Sammy Martens et. al. 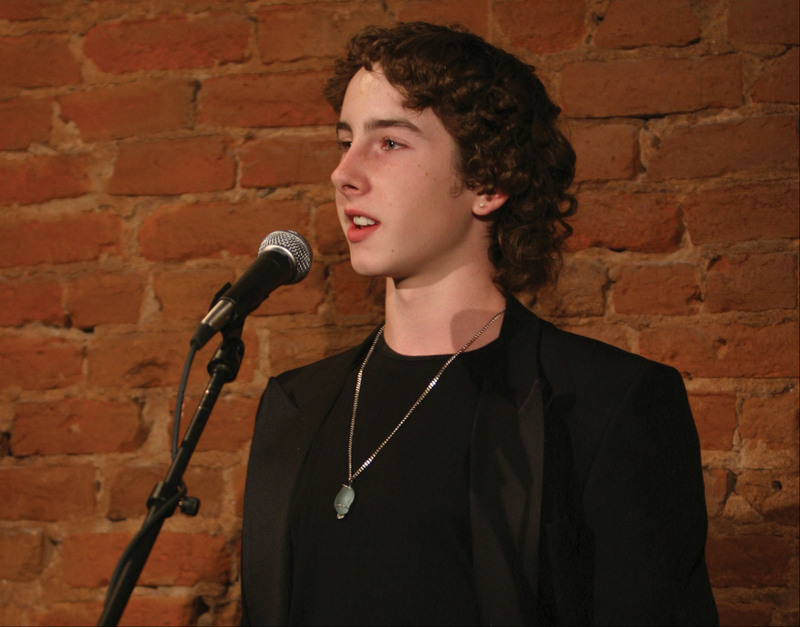 This outing involves Joe’s family, namely his mother and his brother Leo, both of whom nearly die in a car wreck. At the same time, Gunther and company find themselves investigating internet predators. It is a peculiar case because of the possibility that the predators themselves might actually be the prey. The prey of whom, though? That’s what Joe Gunther and his team from the Vermont Bureau of Investigation, together with other law enforcement groups, must race against the clock to find out. 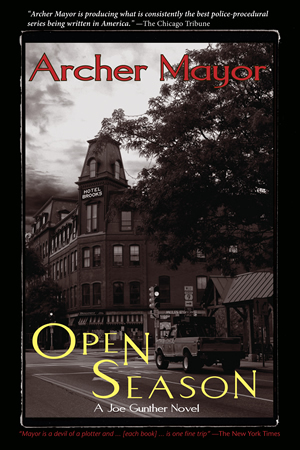 One of the chief pleasures of this series can be found in Archer Mayor’s observations on Vermont and his fellow Vermonters. For instance, as Joe drives through the Green Mountains, he reflects that “…his mother and the snow-clad, sun-bleached mountains he was passing by were not dissimilar. Both were old, stalwart bastions of tradition and place, around which Joe had found it wise to base his values…he had come to recognize the wisdom–at least for him–of admitting his roots and honoring their more admirable customs, of which his mother represented the best.” I’ve had a hankering to travel to Vermont – especially Brattleboro, where Joe Gunther and his unit are based – ever since I began reading these novels some twenty years ago. I have some reservations about certain incidents that occur near the end of Chat. In order to avoid stumbling into “spoiler” territory, I’ll just say that the incidents referred to above were, IMHO, over-the-top melodrama that could easily have been dispensed with. That said, I enjoyed everything else about the novel. I cannot praise this author highly enough for the skill and ease with which he navigates the sometimes thorny terrain of the police procedural. “Murdering the Impossible” by Caroline Alexander (National Geographic) is a riveting profile of mountaineer Reinhold Messner. Messner was born in northern Italy’s South Tirol, a region that identifies almost as strongly with Austria as it does with Italy. 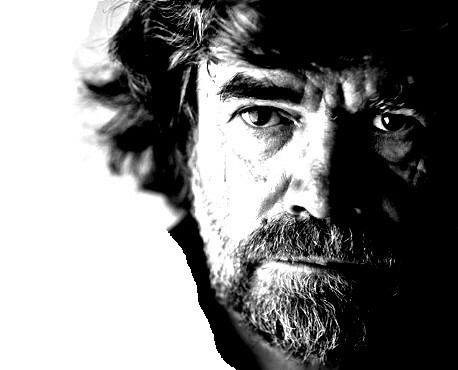 Writes Alexander: “To non-climbers it may be difficult to convey the extent and grandeur of Reinhold Messner’s accomplishments.” He is especially famous for climbing Mount Everest without oxygen, a feat he achieved in 1978 with his longtime partner Peter Habeler. Messner’s life story is studded with similar triumphs – and one terrible tragedy. In “Russell and Mary” (The Georgia Review), Michael Donohue literally stumbles on a box of papers belonging to his newly deceased landlady. 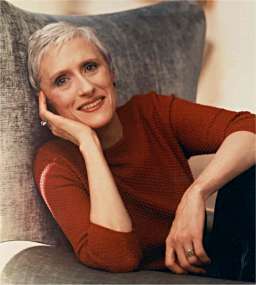 The papers pertain to her long dead husband, Russell. From these fragments, Donohue reconstructs an entire life. At first, I wasn’t sure why I should care about Russell – there were aspects of his personality that were repugnant and unsavory. 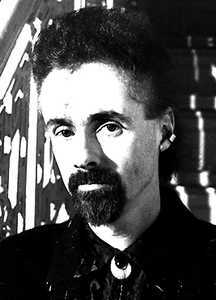 But this essay has a cumulative power, and by the end, I found myself immensely moved by Russell’s sad story. “Inside Scientology” by Janet Reitman (Rolling Stone). I don’t want to say say much about this piece except that Reitman was granted unprecedented access to the inner sanctum of scientology. Her fair-minded report back to the rest of us is a real eye-opener. On a lighter note, I thoroughly enjoyed “Rhymes with Rich” (The Atlantic Monthly), in which Sandra Tsing Loh takes cheerful aim at well-to-do wives and mothers who bemoan the logistical challenges of their lives, all the while consoling themselves with high-end brand name purchases and other perquisites of the monied classes. This spot in the Pacific, presently called the “Eastern Garbage Patch,” is now roughly twice the size of Texas. Casey goes on to describe the deleterious effect that an enormous quantity of non-biodegradable plastic is having on other aspects of the environment – and on us, as it insidiously infiltrates our own bodily systems. Very, very scary. 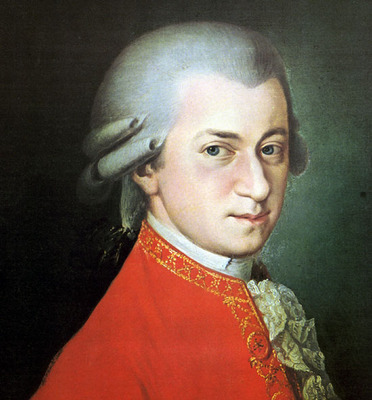 Alex Ross is a terrific writer on a subject – music – that is very hard to write about. 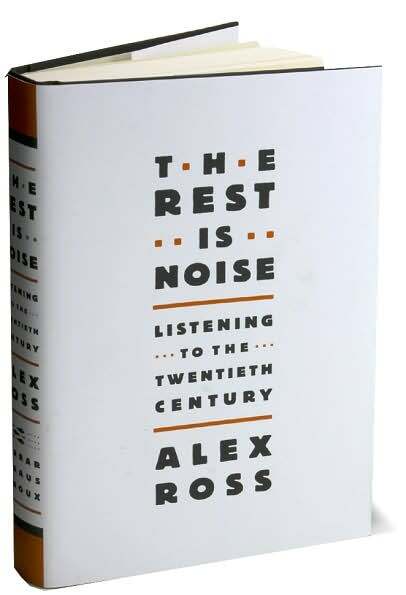 His book The Rest Is Noise: Listening to the Twentieth Century made several Best of 2007 lists. I very much look forward to reading it; meanwhile, I’ll continue to enjoy his columns in the New Yorker. 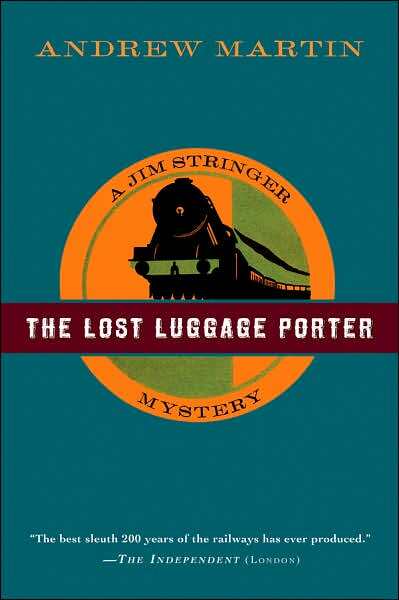 The Lost Luggage Porter by Andrew Martin is a most unusual work of crime fiction; or at least, it seems so to me. 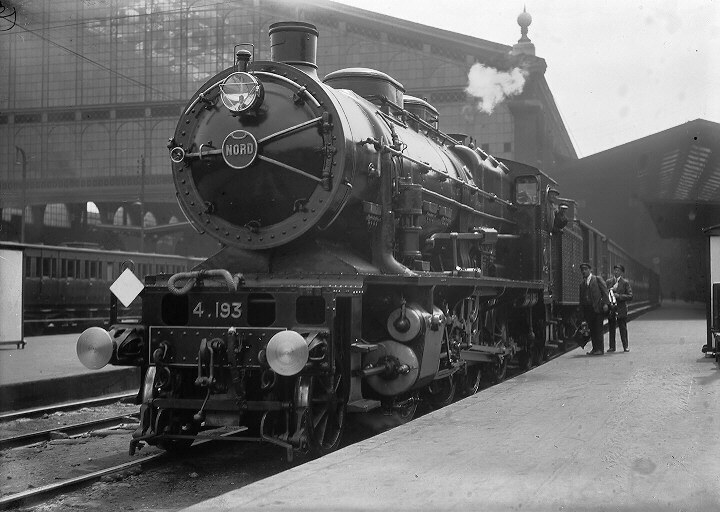 It is 1906, and Jim Stringer has just taken up his position as railway detective in York, in the north of England. Jim had formerly been employed by the Lancashire and Yorkshire Railway, but an accident, for which he was unfairly blamed, caused him to be terminated. Now, he is back, albeit in a different capacity, and he feels out of his depth. He goes nowhere without his copy of the Railway Police Manual, studying it at every opportunity. When he reports to Chief Inspector Saul Weatherill, he is astonished to find himself ordered to go undercover immediately. Rumors are being bruited about to the effect that a major heist of railway property is being planned. Jim’s assignment: infiltrate the gang of would-be thieves before they can put the plan into action. Being newly arrived in York, and not yet a well known face in the area, he is, the Chief, believes, ideal for the job. The Railway Police Manual has little to offer in the way of advice regarding this extremely dangerous undertaking; Chief Inspector Weatherill offers even less. Jim Stringer is left to fly by the seat of his pants. He meets up almost at once with the gang in question. Getting in proves to be relatively easy. But getting out? It’s hard to see how – unless you consider sudden death an exit strategy! But Jim cherishes life, as well he should: his wife Lydia, a feisty suffragist, will soon give birth to their first child. I have high requirements for historical fiction. I want to feel transported to whatever time and place the author seeks to re-create. The dialogue in particular has to convince me. It must be as free as possible of ticks and anachronisms. Andrew Martin must have read many books set in turn-of-the -century Britain; I say this because the dialogue he writes and the slang he employs ring absolutely true. For example, rather than saying, “‘It’s going to rain,” one of the characters observes, “‘It’s coming on to rain.” To my ear, that locution seems right on the mark. As Jim Stringer gets in deeper with the gang of thugs, he must improvise more and more. He is faced with excruciating moral dilemmas – in order to carry out his impersonation in a convincing manner, he finds himself committing, or at the very least sanctioning, acts he would ordinarily abhor. At every new turn, he is faced with the question: do I turn them in now, or stay with them in order to make sure they get caught? As it turns out, he stays with them far longer than he had ever intended to, because there is always some reason why, at any given moment, he cannot break free. He becomes a veritable Hamlet of the underworld. The Lost Luggage Porter clocks in at just under 300 pages, but it is not a fast read. There is suspense, but of an attenuated sort. The writing is excellent; the characters are indelibly sketched, especially the Dickensian bad guys. 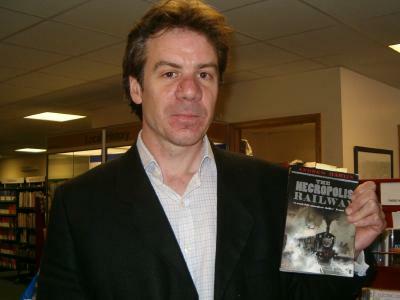 At the heart of this novel is the sometimes clueless but always courageous Jim Stringer, whose love of railways and everything connected to them probably mirrors the author’s own.